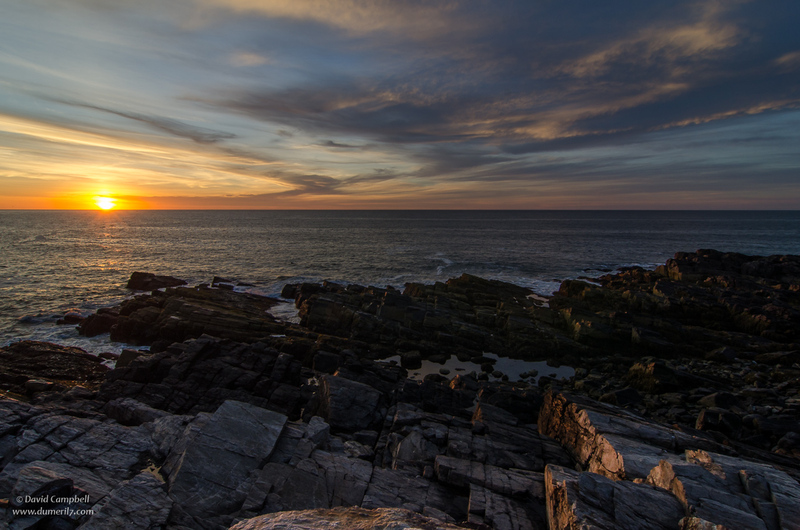 Another sunrise shot from the rocky beach around Portland Head Light. It made me think about the first Europeans to the New World and how looking at the sun rising over the Atlantic Ocean must have made them reminisce about their homelands on the other side. To take a sunrise/sunset shot like this, I use the same approach as for nighttime photography. I find that I'm more likely to have to dial in some exposure compensation though, especially if I'm including the sun in the frame like I've done here.